Fitness is the collective name for cardio and fitness. Cardio is aiming at improving your stamina. Fitness is focusing on muscle strengthening. 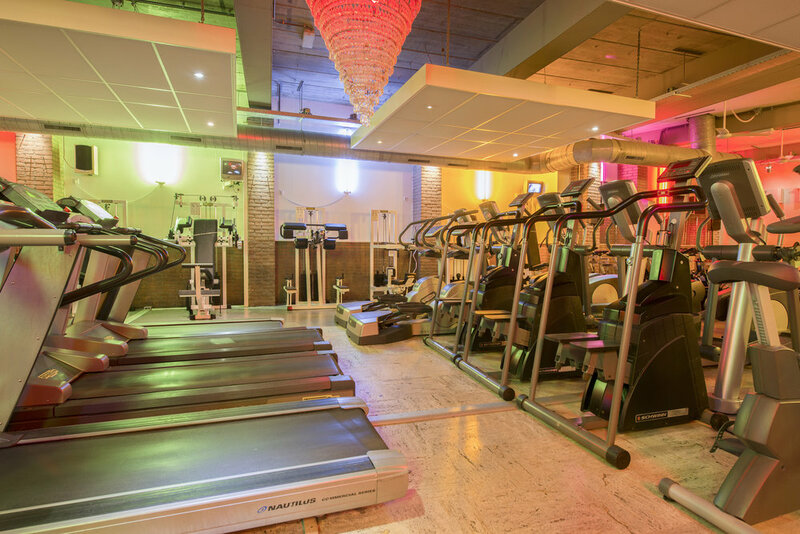 In our fitness rooms, you will find 'Technogym' equipment necessary to train either large or small muscles and muscle groups. We also have 'free weights', such as barbells and dumbbells (1 to 42 kg). And of course kettlebells (4 to 20 kg). Our cardio devices are from world leading companies including ‘Technogym’, ‘Schwinn’ and ‘Nautilus’. You can find a vast selection of treadmills, exercise bikes, elliptical cross trainers and indoor rowers. Our appliances are all cleaned and maintained on a daily basis by our special maintenance staff. However, in the case of some faults, we depend on outside service technicians and the availability of any new parts. A repair can then take a little longer. That is why we have multiple copies of all appliances in the fitness rooms.